Club Med has opened a new ski resort at Pragelato on the Italian side of the Milky Way. 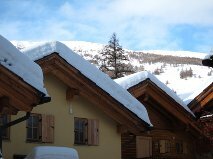 For the first time in the mountains the French all inclusive operator has opted for a chalet style development, converting accommodation originally used to house competitors at the 2006 Turin Winter Olympics. A small cable car provides access to the 450 or so kilometres of piste which comprise the Milky Way, whose clutch of connected resorts include Sestriere and Sauze d'Oulx. Guests at Pragelato can lunch at three mountain restaurants operated by Club Med, within the package price. They can ski or snowboard back to Pragelato, which lies at a fairly modest 1600 metres on a specially cut piste which winds through the forest.